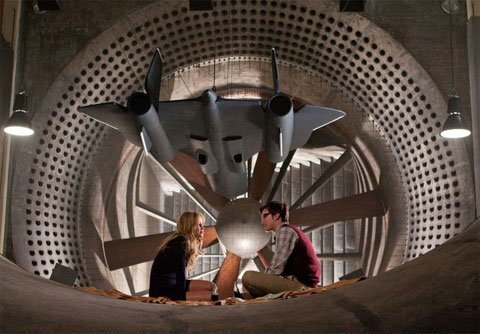 X-Men: First Class is a 20th Century Fox movie, and what that means for you as a movie fan is, they’re going to be pretty stingy when it comes to showing you anything from the movie on the internet. So here we are just a couple of months away from the movie’s release, scrabbling around for decent still photos of the movie’s mutant cast. Earlier today we got our hands on this pretty cool shot of Magneto doing his magnet thing, and now here’s a few more photos, one of which is our first decent look at Mystique in full X-Men costume. 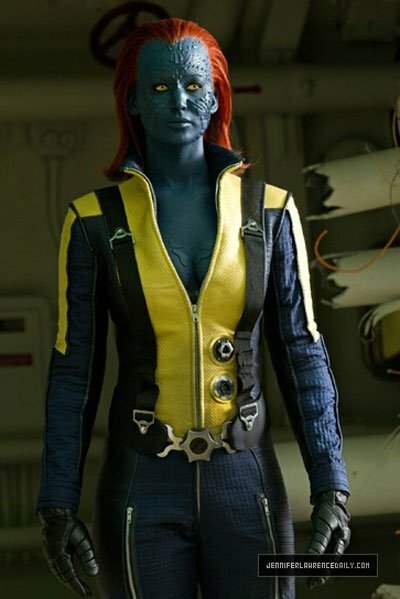 Wondering what Mystique is doing dressed up like one of the good guys? In the other X-Men movies, which First Class is a prequel to, she’s pretty clearly a bad guy. But like Magneto, she didn’t necessarily start out that way. The character is played by Jennifer Lawrence, whom you might remember from such places as the Oscars. She was nominated this year for her amazing work in Winter’s Bone.